Blessed with naturally wavy locks but struggling to make the most of it? You’ve come to the right place! Wavy hair is the Holy Grail of hair textures because there’s so much you can do to amp up your hair game each time you step out. You can blow it out straight, achieve volume or simply scrunch your waves for maximum texture. If you want to accentuate wavy hair, all you need is the right products and correct techniques. How to go about it? That’s what we are here for! The problem with wavy hair is that it tends to get dry and frizzy within no time. A harsh shampoo can only make things worse. Therefore, it’s ideal to stick to a sulfate-free shampoo and one that has moisturising properties. Get your hands on the Tresemmé Hair Spa Rejuvenation Shampoo that is infused with essential nutrients. Too much oil tends to weigh wavy hair down. It is best to use a conditioner with a light consistency, such as the Dove Oxygen Moisture Conditioner that promises to leave your hair frizz-free. Rubbing your hair rigorously with a towel is a strict no-no. Always remember to towel-dry your hair by patting and dabbing it. A gentler way of removing excess moisture from your hair is by using a soft, cotton T-shirt or microfiber towel. Detangle your hair before washing it. Combing your hair after shampooing and conditioning will pull the curls out instead of enhancing them. And if you absolutely need to detangle, then use a wide-tooth comb to gently remove tangles. 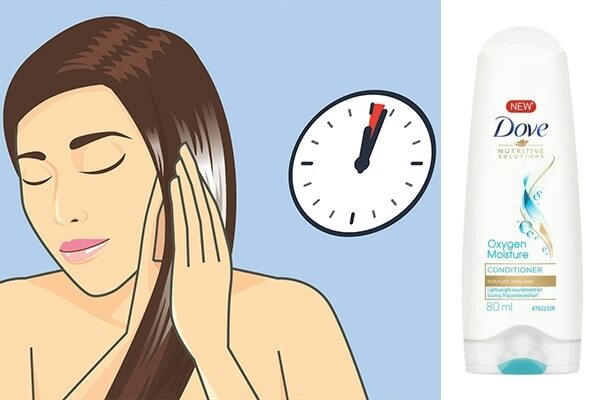 Dry shampoos are not just beneficial on days when you don’t wash your hair. They also help you achieve voluminous locks each time you use it. This is great, since one of the biggest problems of wavy hair is its tendency to fall flat. Spritz some dry shampoo on your roots to plump up the volume of your mane.